I remember the first time I heard the song "Our Lips are Sealed" by the Gogos on the radio back in the early 80s and I knew right away that it would become a huge hit. 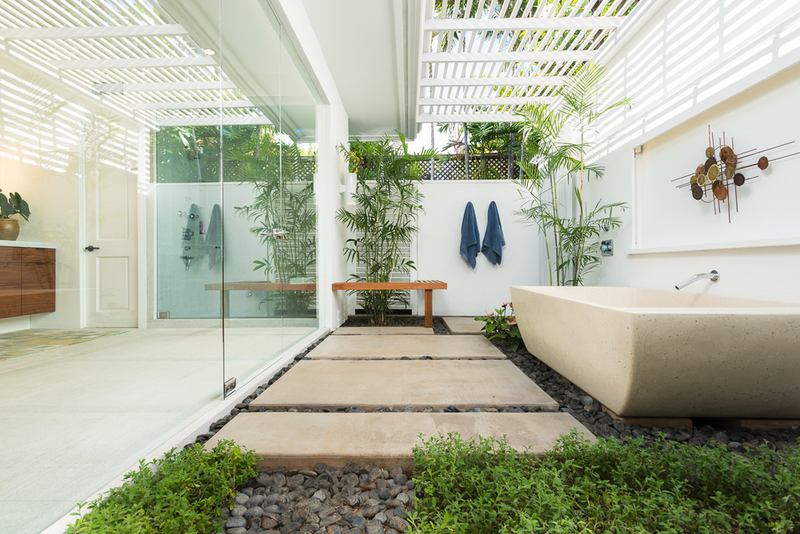 The same thing happened when I walked into this stunningly executed renovation of a Wailea house. It's a hit! Just take a look at the gorgeous photos and you'll understand why. Owners Rob and Don have brought quality and discernment to every square inch of this clean, comfortable, spacious Wailea property. Obviously talented designers, these owners have given new life to a classic Farrington house - injecting some Palm Springs Style into the space, yet honoring the distinctly Hawaiian setting - keeping the warm wooden ceilings, soft surfaces, and great openings into the garden from nearly every room. The floor throughout the house is like a "stone carpet" since the soft matte finish of the Himalayan Quartzite feels like wool on your bare feet. The lack of sheen creates the visual appeal of white carpet without the "spill" fears (and dust mites!). 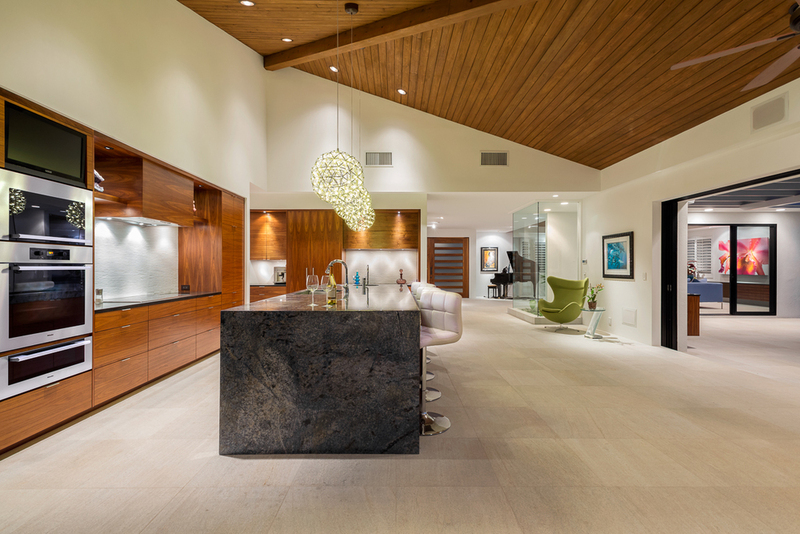 Congratulations Rob and Don on creating a truly "Hawaii Modern" interior.